Physitrack holds specific patient information. When you assign a program, you assign it directly to a specific patient. This information is then stored safely on the cloud. 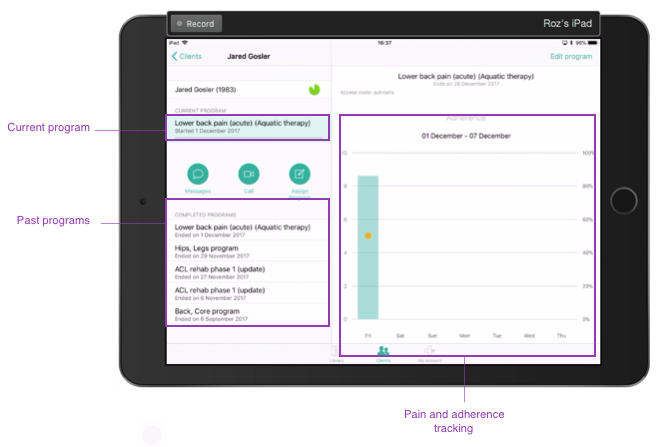 Keeping this information in your Physitrack account helps you to monitor your patients progress and helps you to keep on top of how their treatment is progressing. 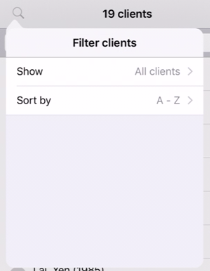 Find your client list via the "Client" menu at the bottom of the screen. The search bar at the top the client list allows you to find your patient by name. The " +" symbol above allows you to add a new patient. Within your client list, there is a colour code by each patient name. Below is a key to the colour coding. 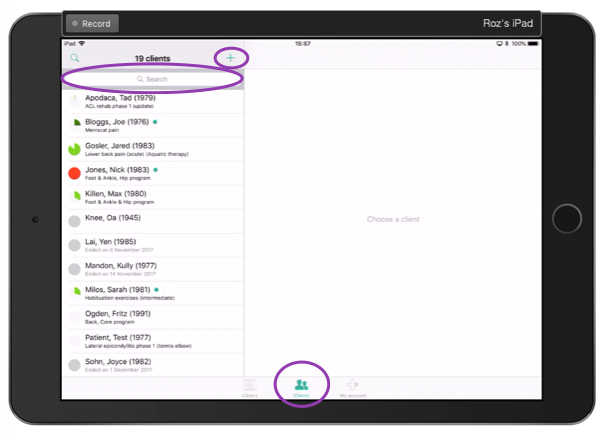 The search symbol in the top right corner allows you to chose the order your patients will be listed. Tap on a client name to open up their file. Within their file you have various controls including editing your clients name and contact details, viewing current and expired programs, and tracking pain and adherence results. Can I assign a program to multiple clients? What do my patients see in PhysiApp? How do I assign an outcome measure to a client? How do I view my clients outcome measure results? How do I assign educational content only to a patient?